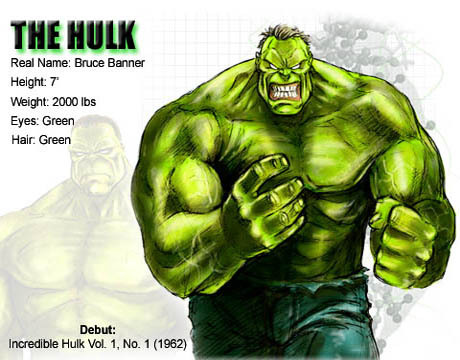 Bruce Banner was a brilliant atomic scientist who was respected throughout the scientific community. 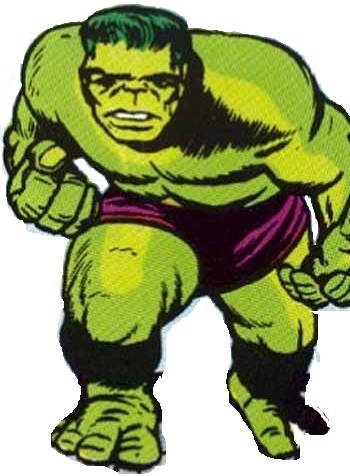 During the Cold War, he developed an atomic bomb which harnessed the power of Gamma radiation. 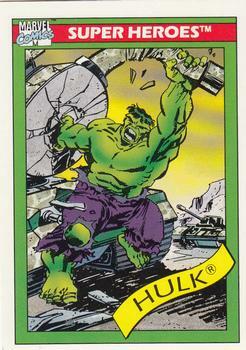 During a test for this deadly device, Banner noticed that a teenager had wandered out into the test site. 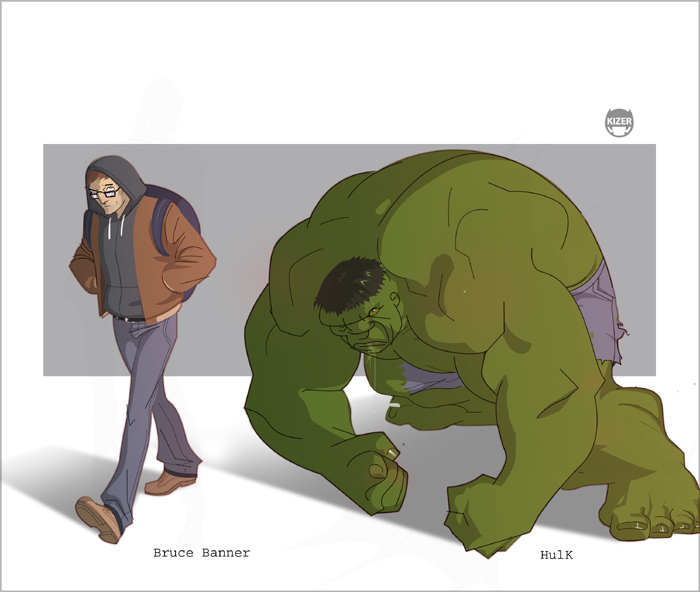 His supervisors unwilling to halt the tests, Banner selflessly drove out into the test area to save the youth. 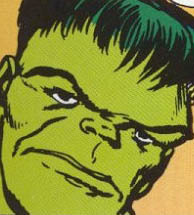 He managed to get the teen behind a bunker, but Banner himself was bathed in the deadly radiation as the bomb exploded. 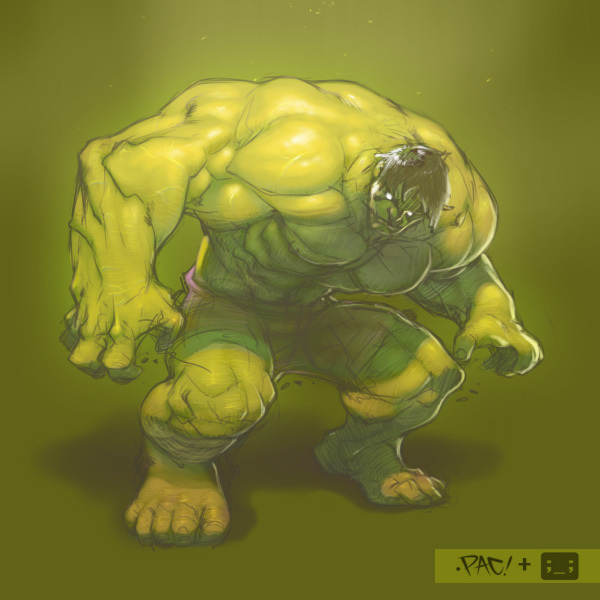 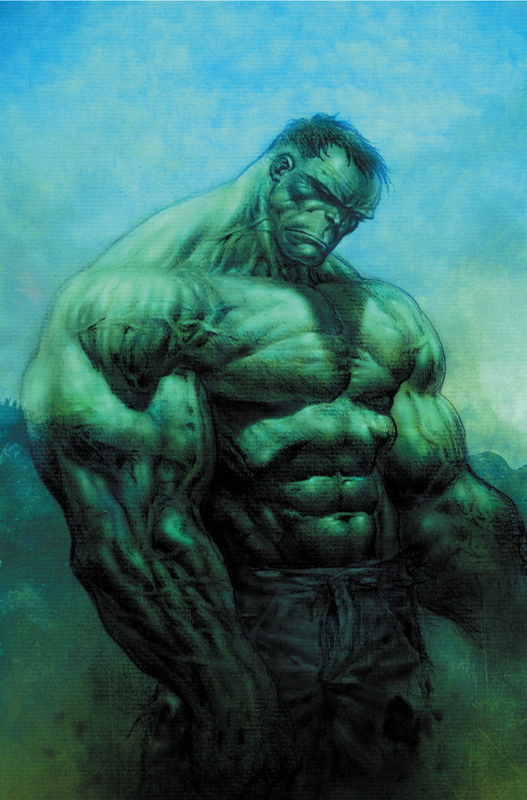 He awoke days later, and soon found that the gamma radiation had not killed him but had drastically altered his body. 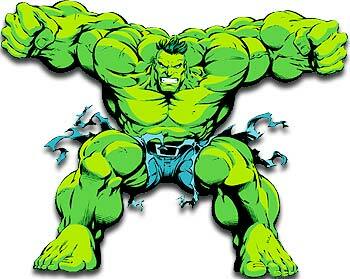 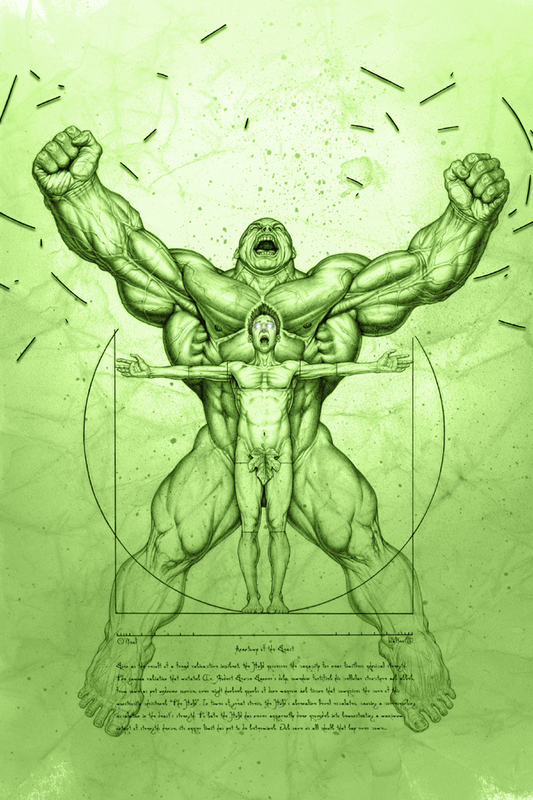 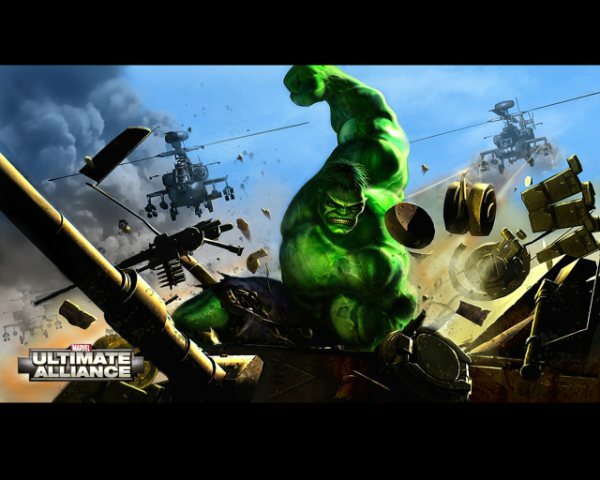 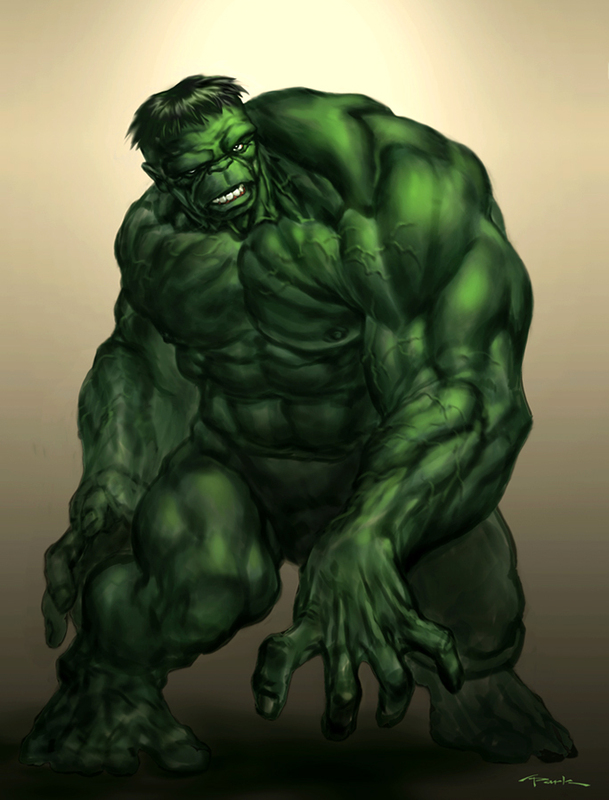 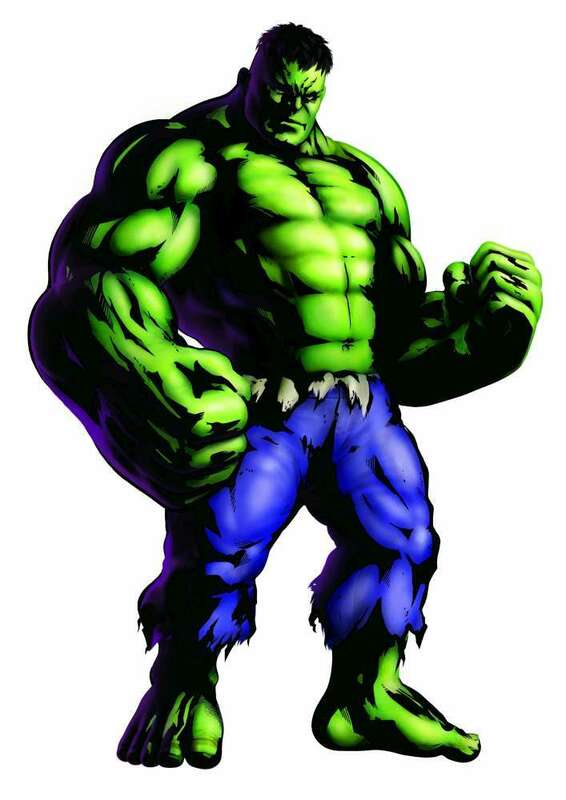 At night, he turned into the incredible Hulk, a huge green being with immense strength. 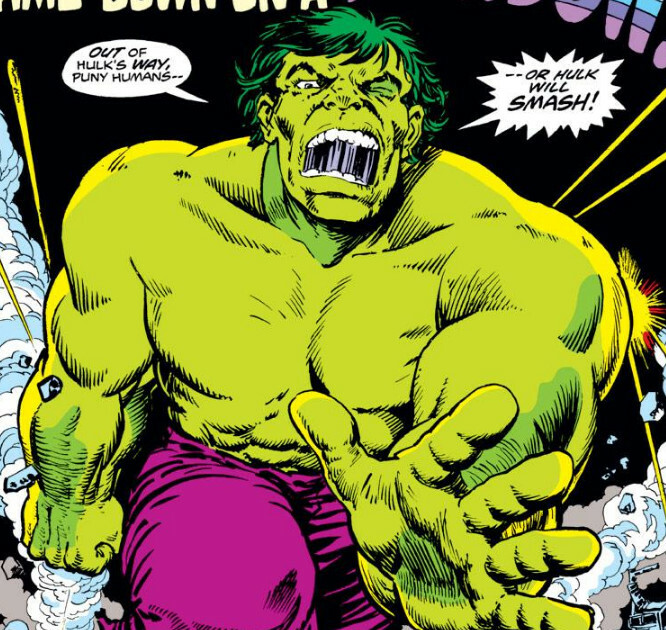 Although he was conscious when he was the Hulk, the monster functioned as a separate, less intelligent entity that Banner had no control over. 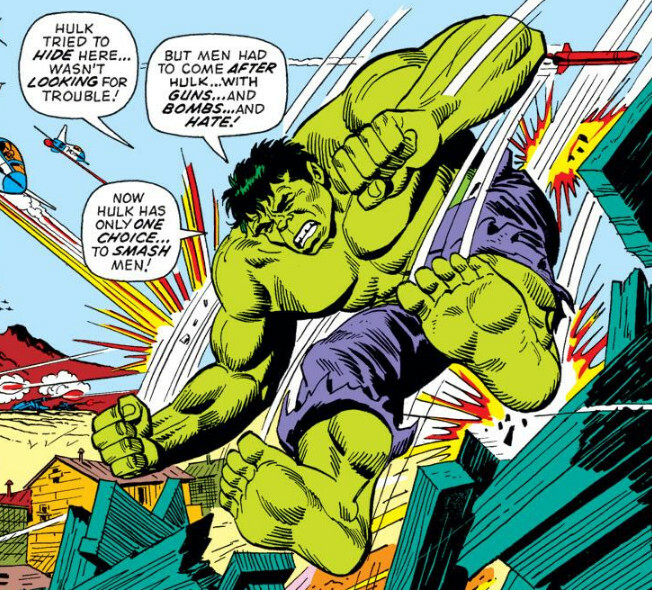 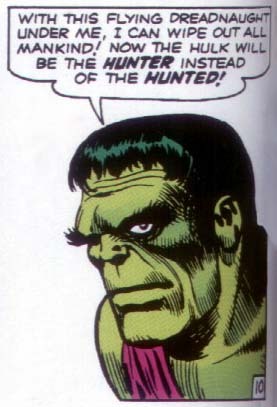 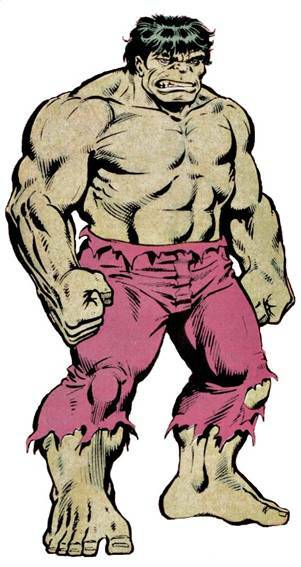 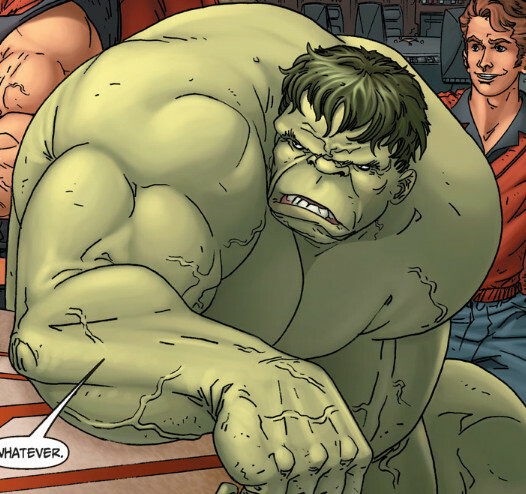 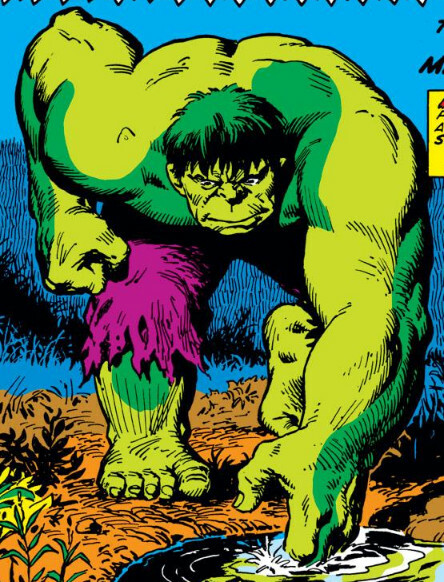 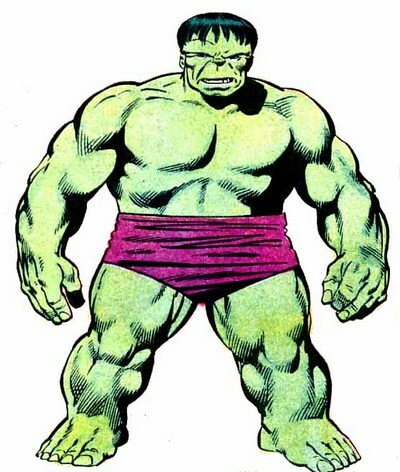 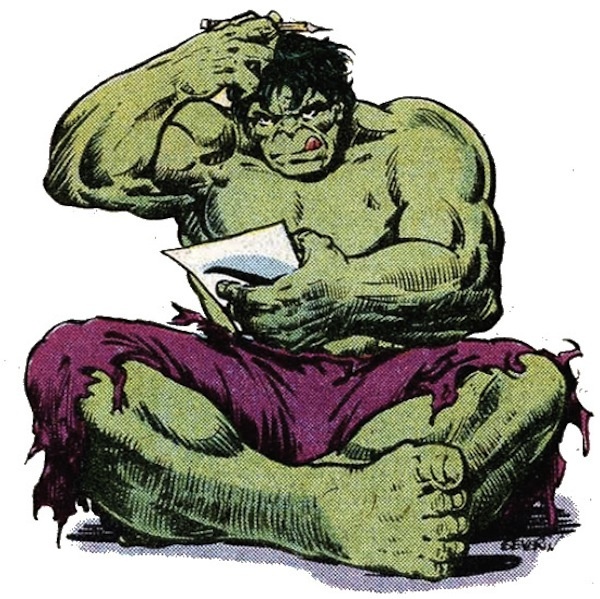 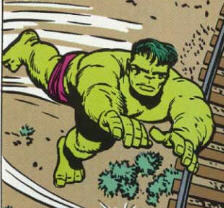 The Hulk was considered to be a menace, but was largely misunderstood. 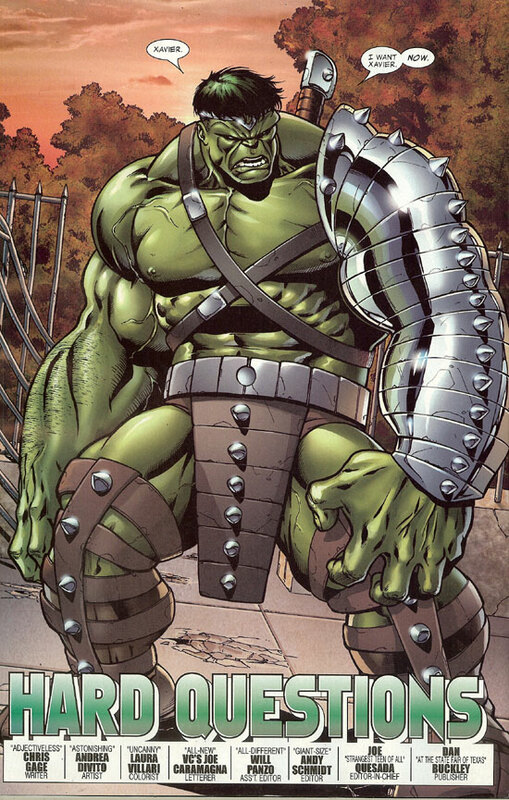 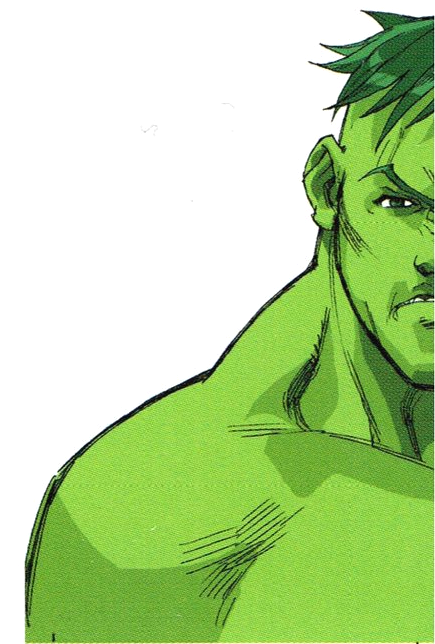 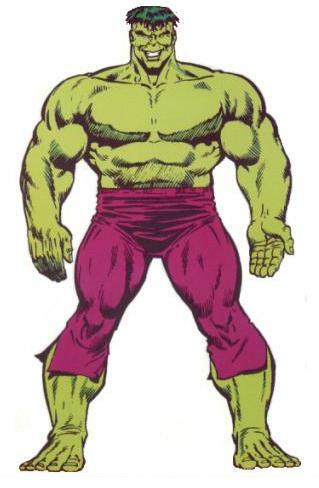 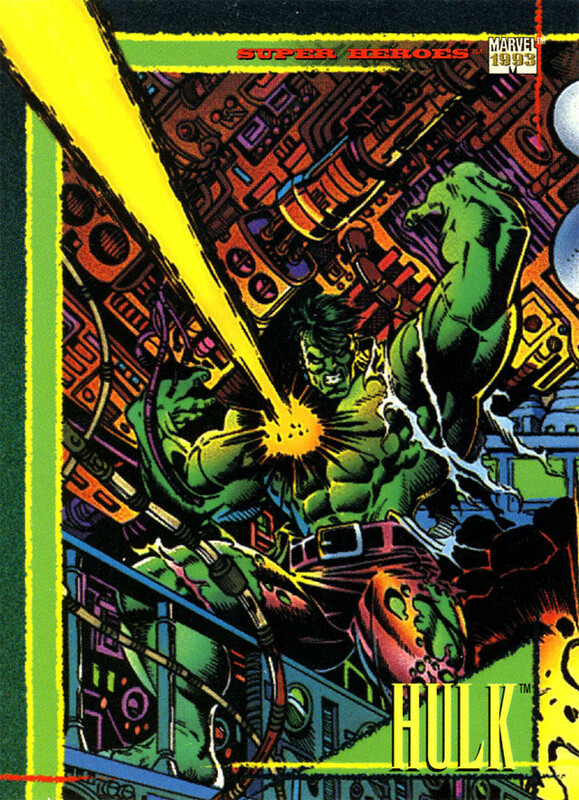 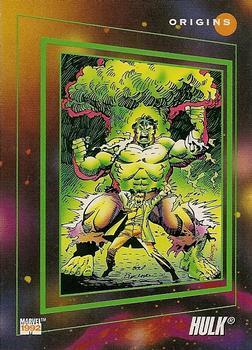 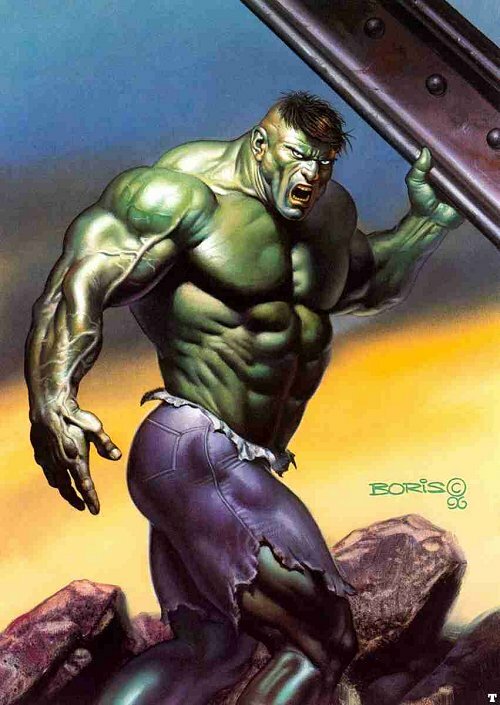 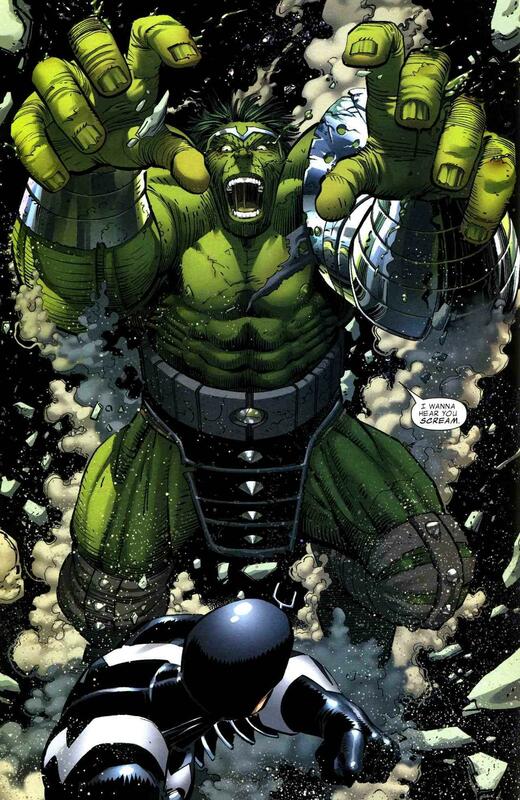 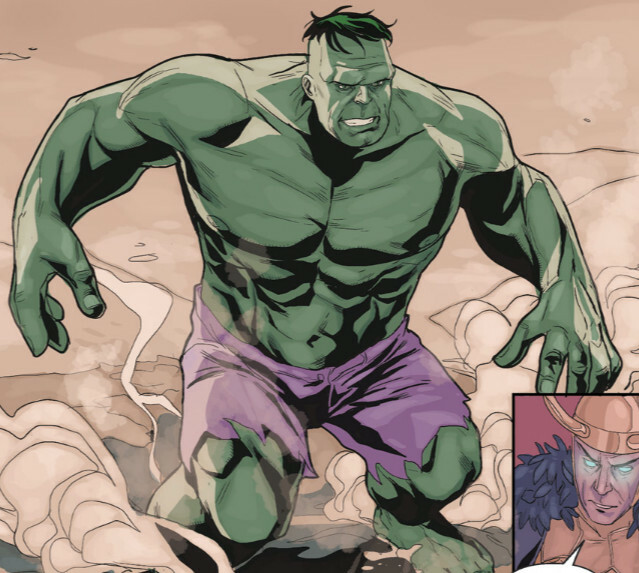 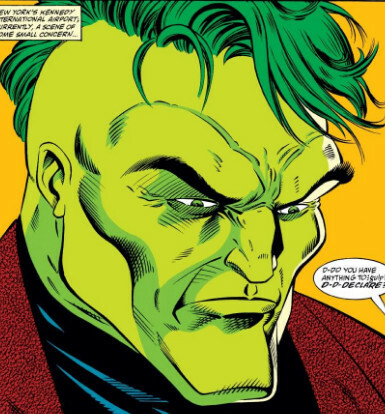 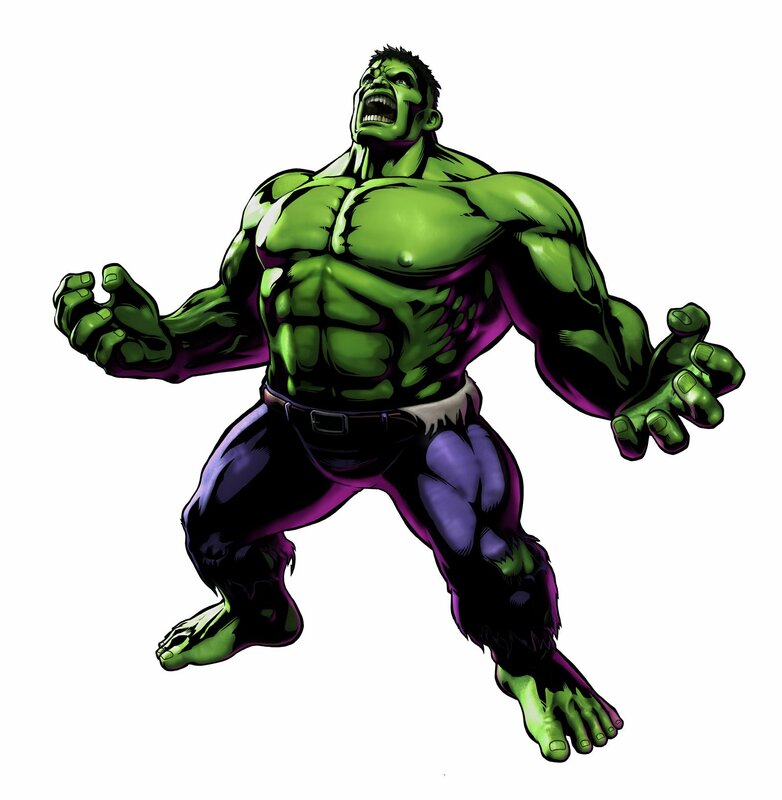 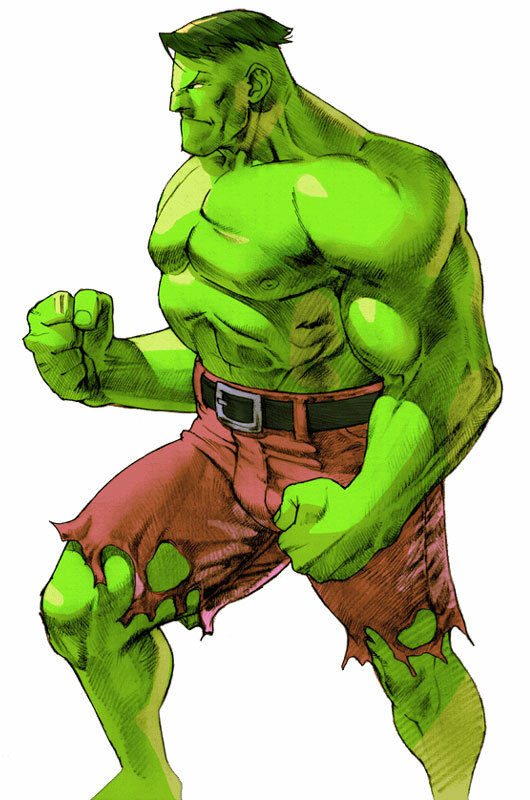 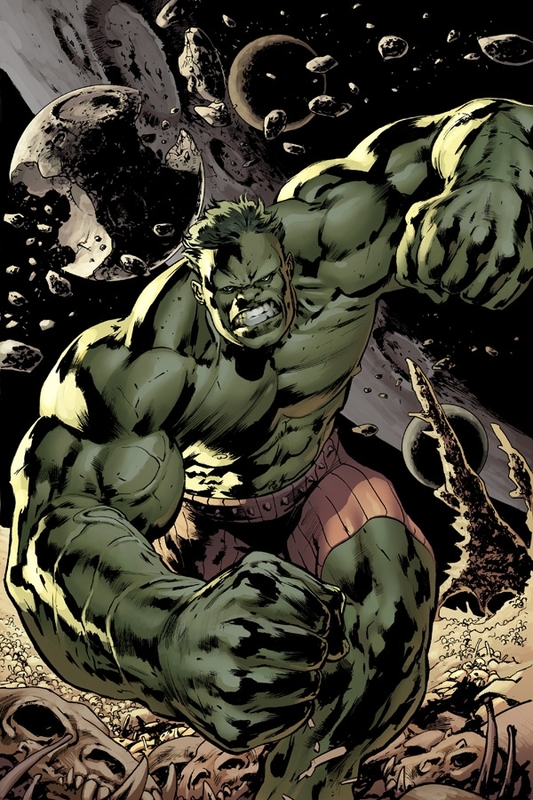 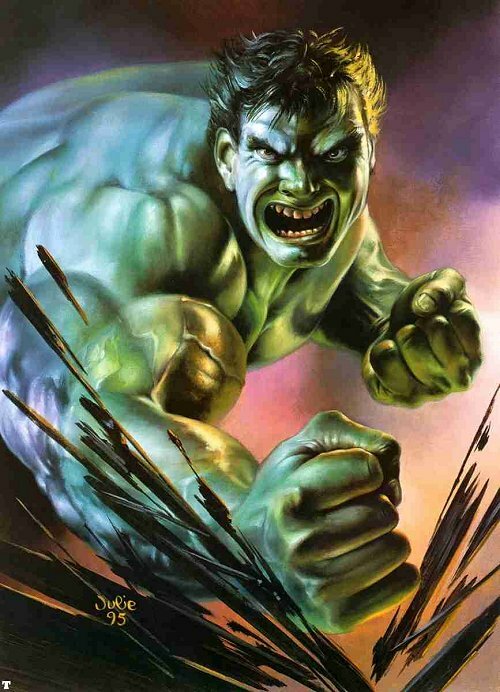 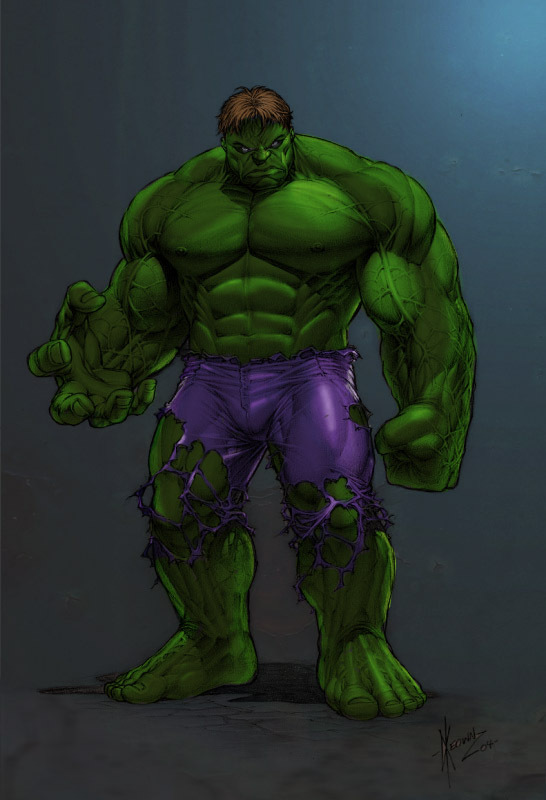 He has undergone many changes since then, and currently Banner is able to control the Hulk, combining his intelligence and morals with the Hulk's great strength and stamina. 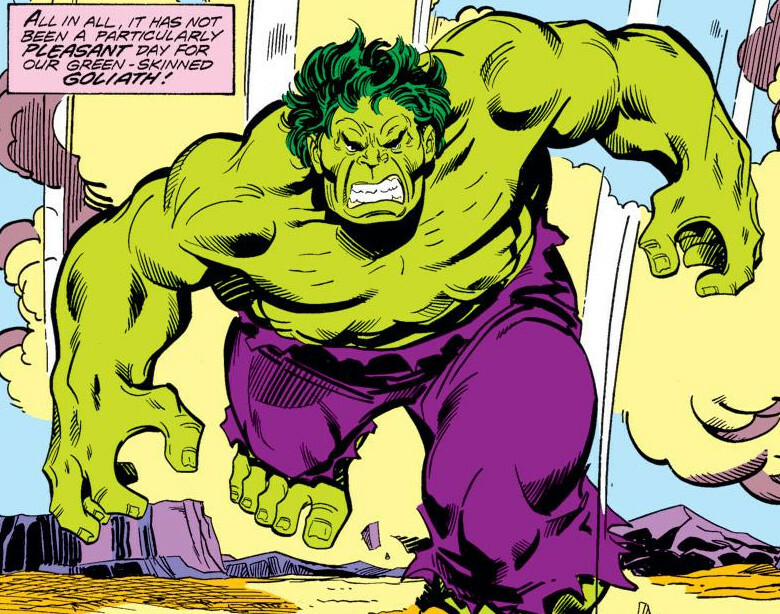 No menace is too powerful or too strong for The Hulk. 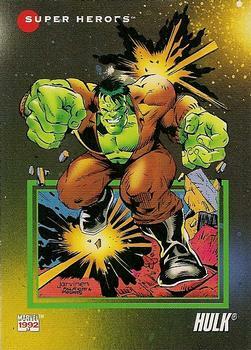 Jennifer Susan Walters (She-Hulk) is his cousin. 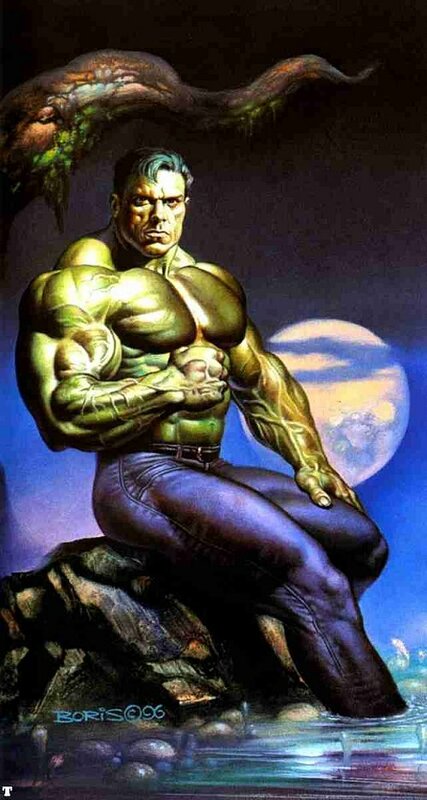 Although I've always been a huge Marvel fan, I was never a big fan of The Hulk. 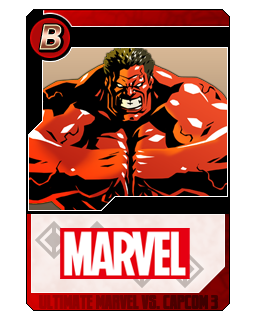 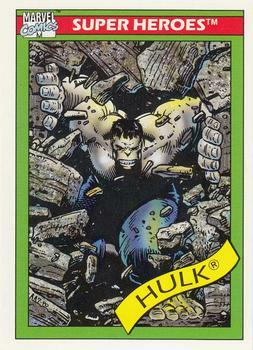 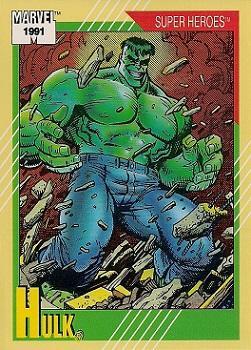 Back in the 90's when I was into collecting Marvel comics & cards, I always seemed to be more interested in the lesser known Marvel characters... and Hulk is as mainstream as it gets. 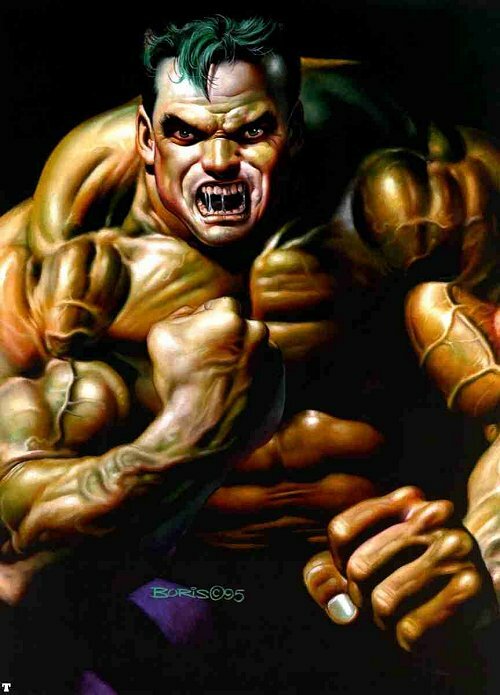 Regardless of my opinion, Hulk is an iconic Marvel character with years and years of comic book history, and he has made some really cool appearances in a wide variety of comics & games. 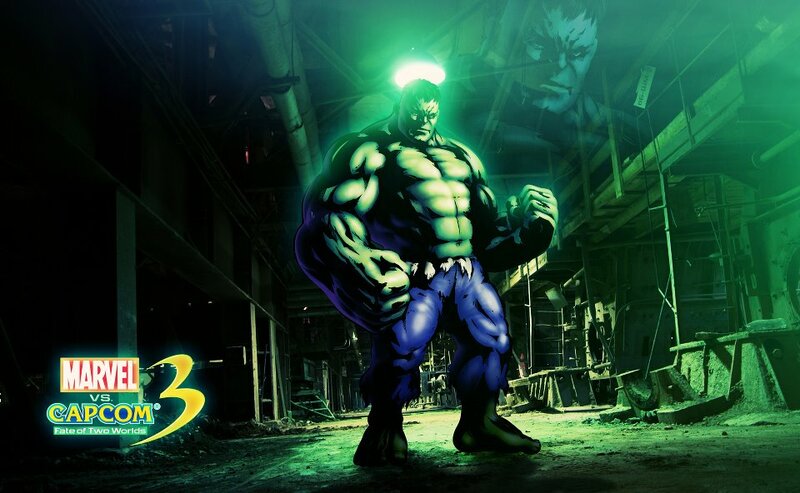 Even though I'm not a Hulk fan, I will admit Capcom made him look DAMN cool in their Marvel fighting games! 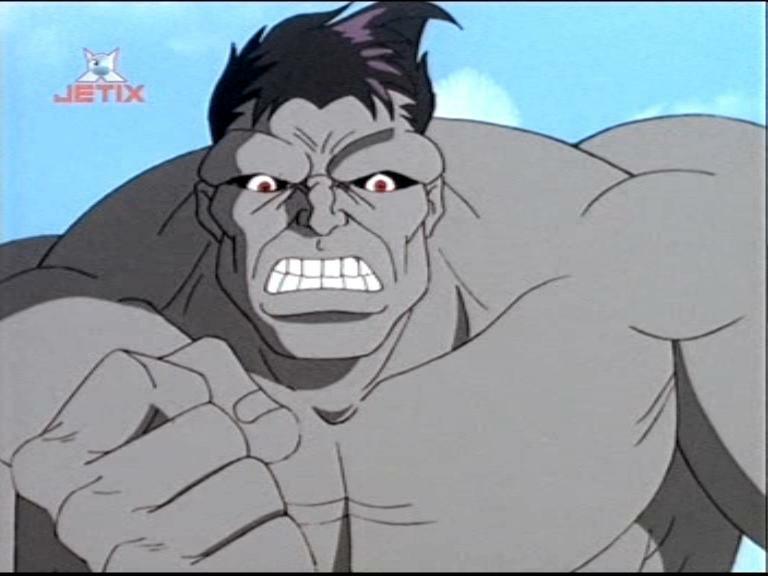 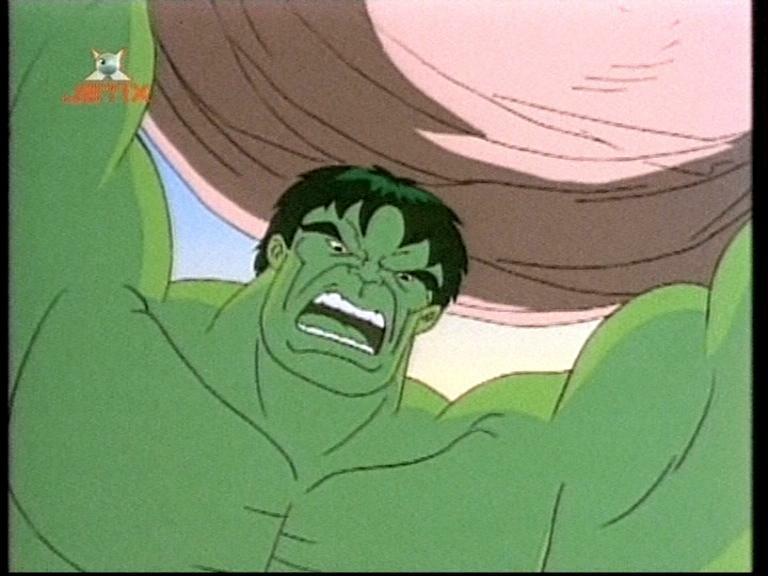 Hulk debuted in MSH with some epically fluid animations (actually some of the best animations ever seen out of such a large 2D character sprite). 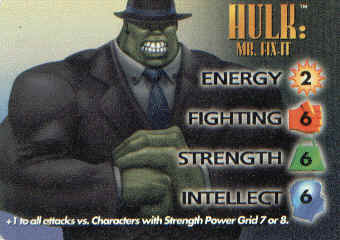 Aside from looking cool, Hulk was always a fun character to use in Capcom's VS Series. 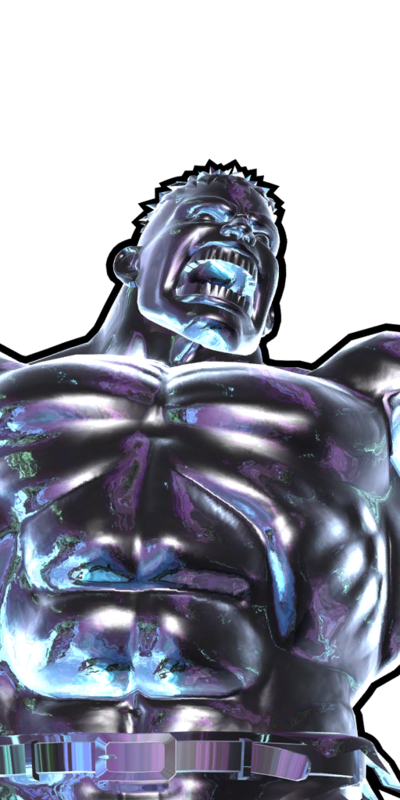 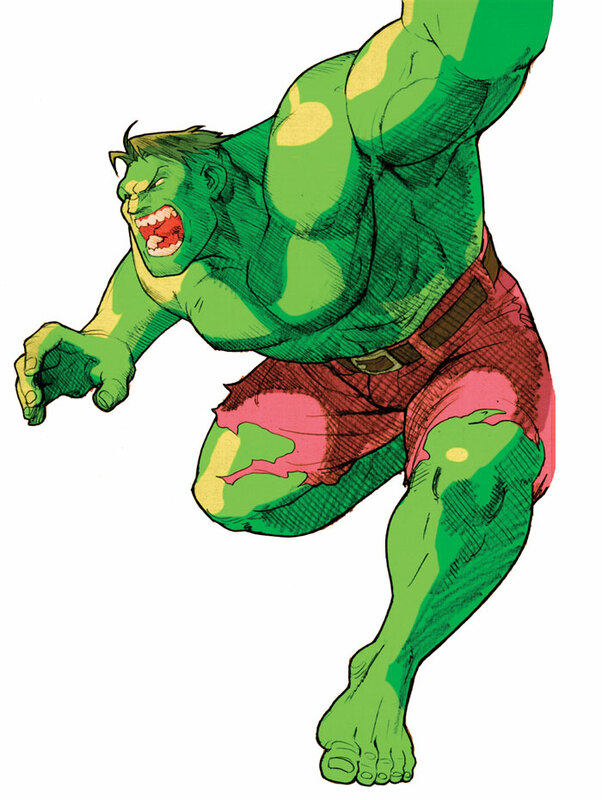 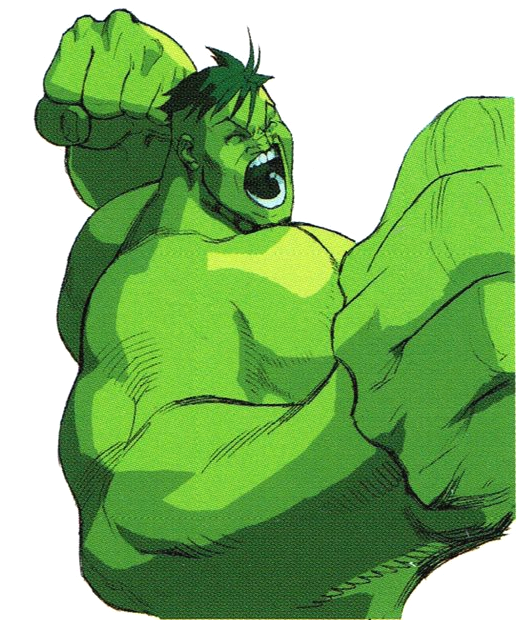 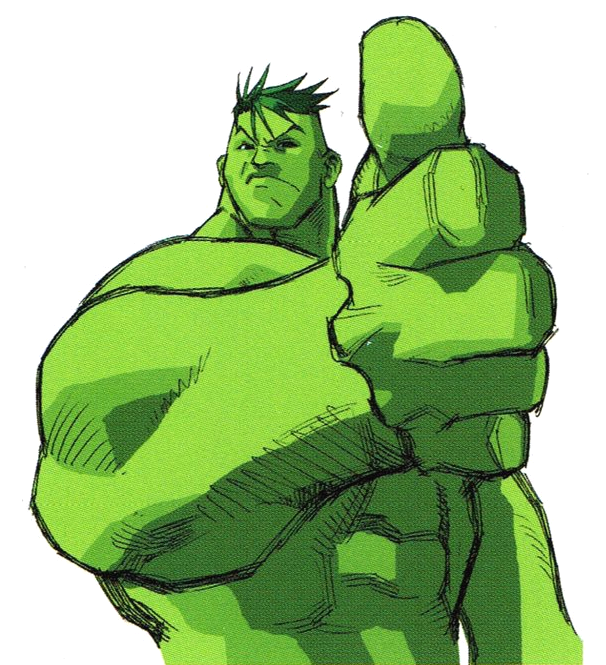 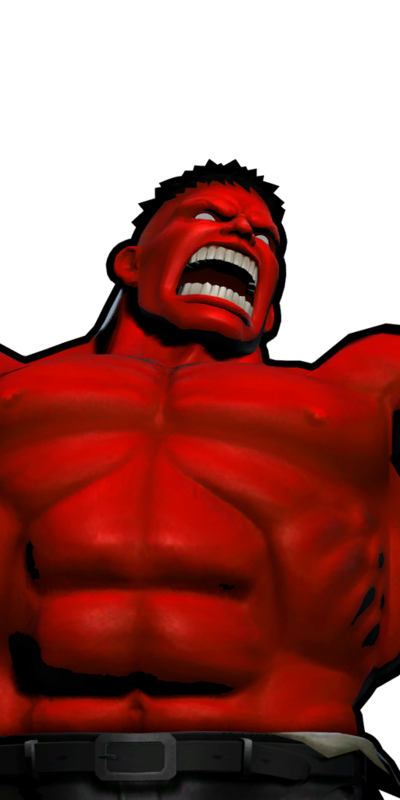 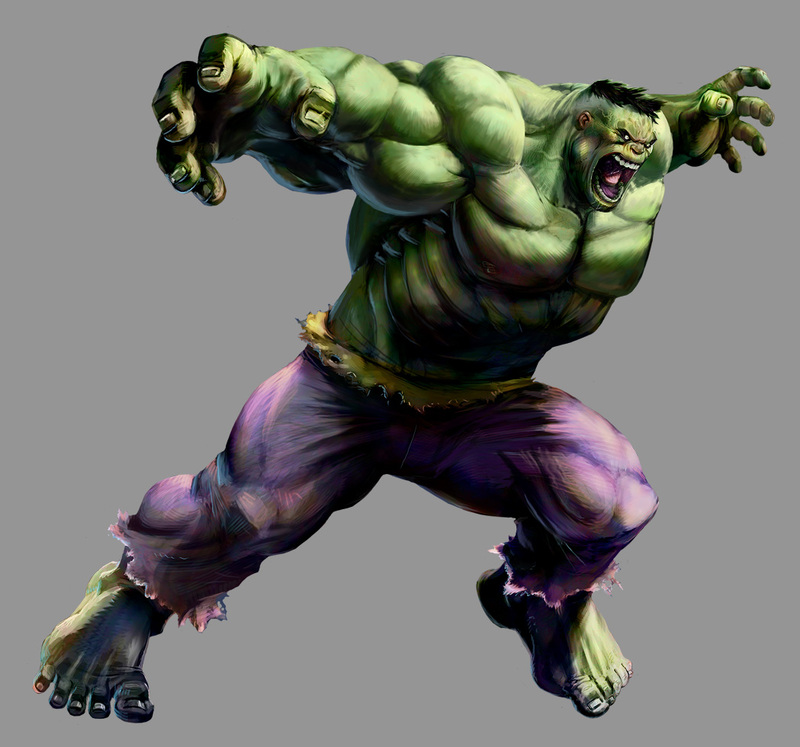 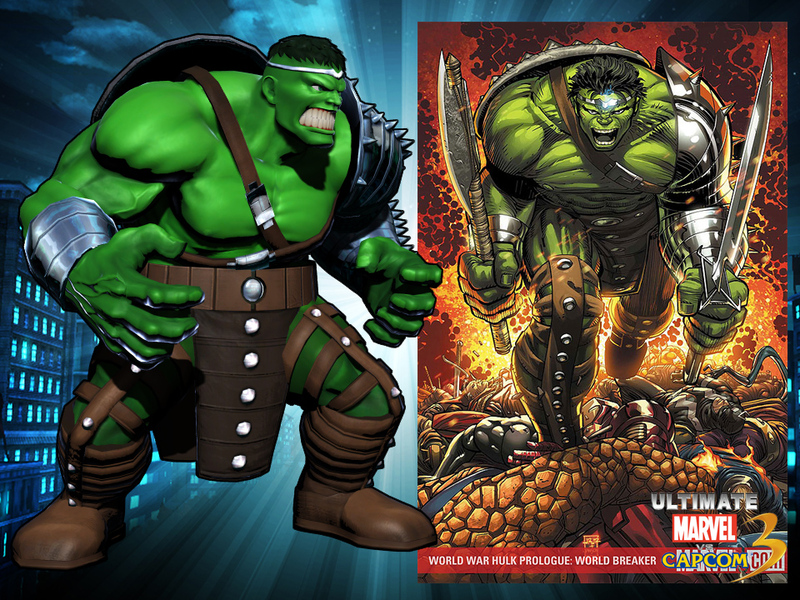 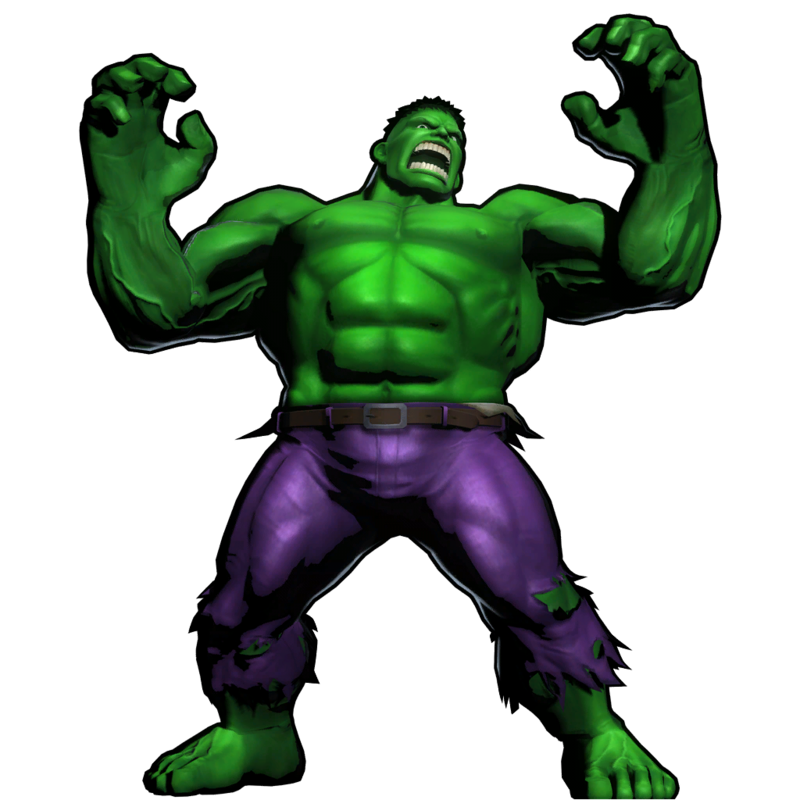 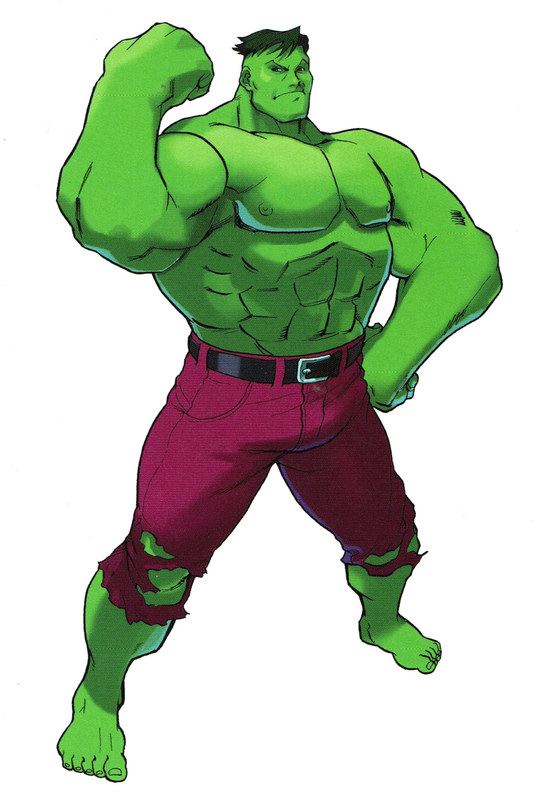 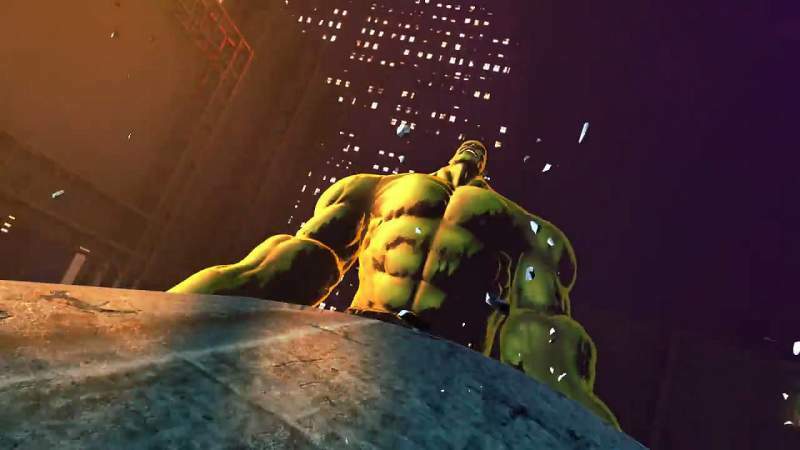 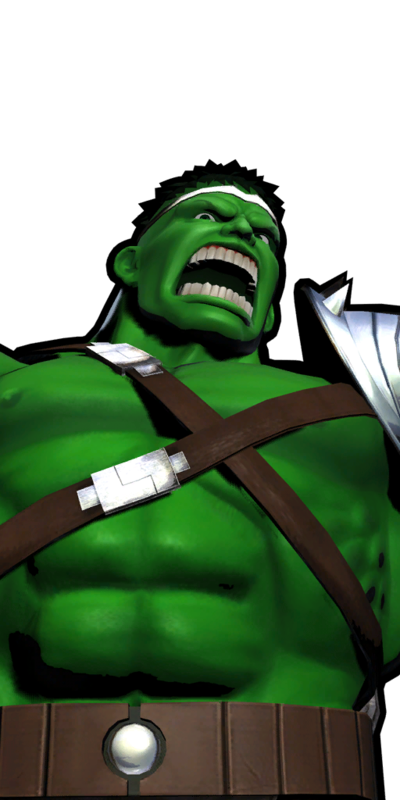 Hulk's return in MVC3 was also well done for the most part, although I do hate his new voice actor with a passion. 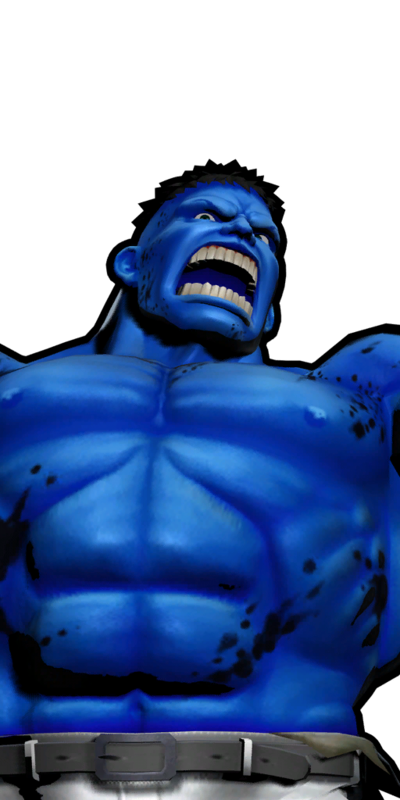 "BRYYEE-BRYYEEE!"... 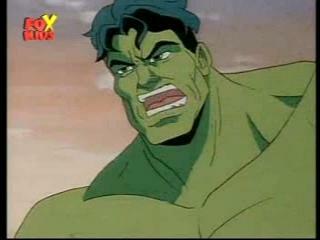 Uuggghh... the old voice actor was eons cooler.